I am thinking lately about Gillian Welch. Looking at some of her songs on the internet, I couldn't help noticing that some listeners are a little confused, and they seem to have singled out What's His Name as the greater talent in their musical union. Well, yes, he can play guitar, but it's all just facility and flourish: the soul of the sound resides in Ms. Welch. He just rides her coat tails, but he's an affable fellow, so I don't mind if she wants to keep him around. In listening to their songs, and after watching this video, I began another of my semi-regular searches for some really sharp Western duds with scads of embroidery; the kind that Gene or Roy would have worn. I have wanted a suit like that since I first laid eyes on Dale Evans, when I was 8 years old or so. There's a framed 8 x 10 glossy of Dale and Roy in the second bathroom- it's a nice room; the shower wall has a beautiful Neruda poem about a time- and water-rounded stone painted on it. Anyway, while I was looking for the perfect singing cowboy shirt, I found Rockmount Ranch Wear. See if you can live without some. I wrote this little bit of rumination half a moon cycle ago, and researchers at the Dodo have just brought my attention to this relevant essay. 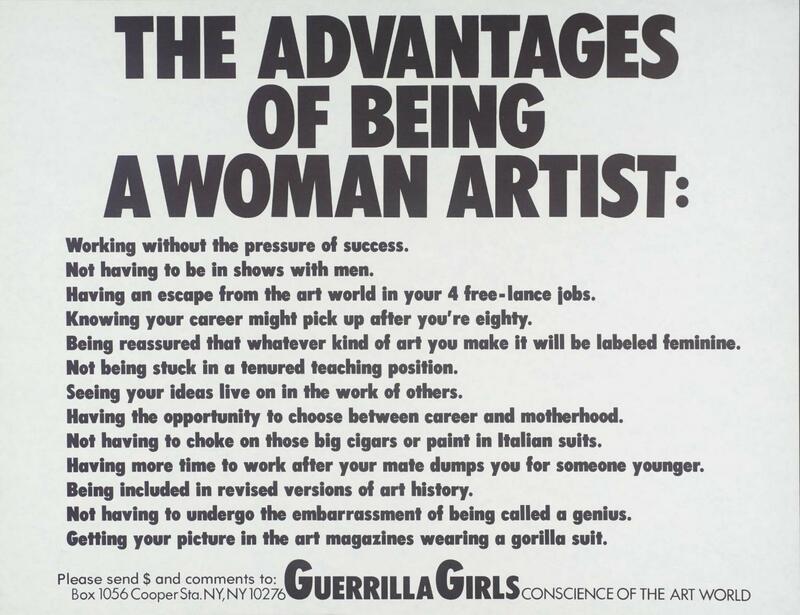 Which reminds me of the co-incidence of my just begun Guerilla Girls manifesto shrine. Things are being added to it regularly. I put it in a very prominent place where I work sometimes, as what we like to call an 'instructor of art,' but my mentor would always say "a God-damned college professor." All of it is yours and mine.